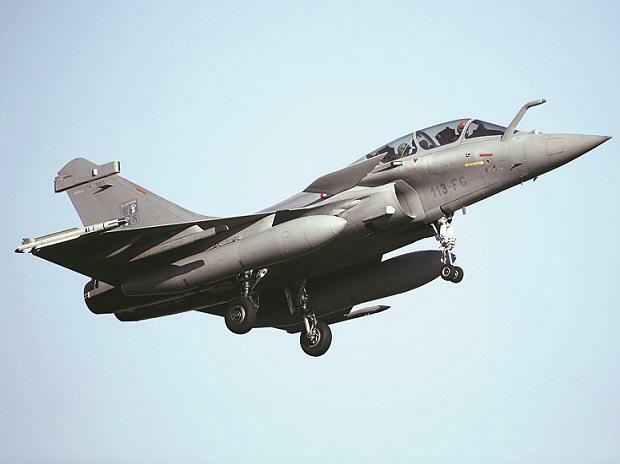 Details of the negotiatied price per Rafale were not officially announced, but it was suggested by the then UPA government that the size of the deal would be USD 10.2 billion. The Congress claimed per aircraft rate including avionics and weapons was zeroed in at Rs 5.26 billion (As per Euro exchange rates prevailing then). During his visit to France, Prime Minister Narendra Modi on April 10 announced India will purchase 36 Rafale jets in a government-to-government agreement. After the announcement, questions were raised by the Opposition on how the PM finalised the deal without approval of the Cabinet Committee on Security. India and France signed an Euro 7.87-billion (Rs 590 billion approximately) deal on September 23, 2016 for 36 Rafale jets. The delivery of the aircraft will start from September 2019. The Congress has been accusing massive irregularities in the deal, alleging that the government was procuring each aircraft at a cost of over Rs 16.70 billion as against Rs 5.26 billion finalised by the UPA government. The party has also demanded answers from the government on why state-run aerospace major HAL was not involved in the deal. The Congress has also sought to know price details of the aircraft and how the rate per aircraft has gone up from Rs 5.26 billion to Rs 16.7 billion. The government has refused to share the details, citing a secrecy clause of a 2008 pact between India and France. The Congress has also alleged the government was benefitting the Reliance Defence Ltd (RDL) through the deal as the company has set up a joint venture with Dassault Aviation to execute the offset obligation for the Rs 590 billion deal. Around two years back, Minister of State for Defence, while replying to a question in Parliament, had said the cost of each Rafale aircraft is approximately Rs 6.70 billion but did not give details of prices of associated equipment, weapons and services. Finance Minister Arun Jaitley wrote a Facebook post on Wednesday, accusing Congress and its leader Rahul Gandhi of "peddling untruth" and carrying out a "false campaign" on the deal. He said the deal signed by the NDA government was on better terms than the one agreed to in 2007 under the UPA regime.